Can Changing Domain Impact on SEO Ranking? Are you going to Change your domain name or URL!!!!!!!!!? STOP before doing care some basic things………. If you ask the question “can changing domain impact on SEO ranking?” the answer of this question is YES. It’s true when you change a domain name with another (for exp. www.abc.com to www.xyz.com) it is harmful for your SEO ranking. But, it does not mean you cannot change your domain. Of course you can. No, don’t think that I am getting confused you. In one line you can change your domain name but it harms your SEO ranking. There are many reasons for change a domain name, some are … if your domain is not relevant to your this time business like when you start a your business you offer only plastic bottle and your website is named www.plasticbottle.com but now you offer other plastic products like jar, tiffin and some other goods that made by plastic. Here your old site not fulfill you requirements. You can also need to change a design of your website and can also think to change your URL. You also can change your URL on the time when it is not user friendly, and also some other way when you think to change. Generally SEOs not advice to change Domain name or URL but when it domain goes worthless not relevant, not user friendly it is good idea to change it. 301 redirection is a best way to not losing your traffic after change your URL. You can read it on Google… https://goo.gl/TvLSmW. You need to redirect all your old pages on the new website. Don’t forget the quality of new site, care your content care your keywords, care your Google code, care your Meta and title tags. They all are important to re-indexed and re-crawl your new site in Google. You need to create new sitemap and submit it in Google Webmaster. In 2015 Google says you don’t need to submit your URL in Google, but there are options available then why not you use it use Google’s submit URL option. You can also use Google Webmaster to fetch you your URL as Google. Then why not you do it, you can find it under "Crawl" > "Fetch as Google"
Now it is the time to waiting for Google response. In this time many from us are become panic that why not there website come on earlier position. Relax it take time a week a month and some time two months. So don’t aggressive and take patience you get recover soon. You cannot behave like a dummy you can do some task. You can monitor your ranking. You can monitor indexation that how many URLs indexed. You can check errors like 404 errors, 404 soft errors, 500 errors etc. 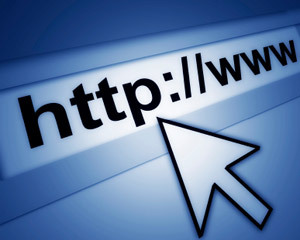 Conclusion: if we want to change our website domain name or URL we can. But we need to care some basic thing do a hard work maintain quality etc. and we easily recover our traffic and ranking again on our new domain.